Each year Equileap carry out a study that reveals the top 200 companies that are ranked and rated on gender equality. Equileap are the global leaders in providing insights and data on gender equality and as a result it has an impact on those who are doing something about their gender balance and those who aren’t. By doing this, Equileap are trying to accelerate gender equality in the workplace. It measures which companies are trying to make a real difference in gender balance as gender diverse companies tend to produce above trend returns, have better safety records and lower risks. Equileaps ranking is developed using a four-stage gender equality approach, each stage focuses on the companies approaches to tackle gender equality and from this, they are given a score. At the end of the approach, Equileap add up the scores and give them a grade accordingly. Results from the study revealed that tech companies are committing to improving gender equality as 14% of companies sampled reached the top 200 compared to 3% in the previous year. With a lot of attention going on women in tech and action being taken on the gender pay gap, it is hopeful that there will be an increase of tech companies in studies to come. The following tech companies are some that have been listed on the top 200 gender equality scale and have been noticed for their commitment to closing the gender gap in many ways. Salesforce have been committed to closing their gap on their gender equality pay. Since then they have conducted two pay assessments which have identified any unexplained differences between men and women’s pay. Their UK gender pay gap report has shown that the gender equality tech companies have more men than women in leadership positions. So, to help increase the pipeline of women in leadership positions, they have introduced initiatives such as their High Potential Leadership Programme, which as a result has led to a 37% increase in women who were promoted last year. They are striving to hire a more diverse range of graduates and as a result have hired 74% female graduates this year compared to 70% last year. IBM have been committed to diversity and gender equality for several years. They have created several programmes to help increase minorities, women, LGBT and people with disabilities in their organisation. IBM have been named one of the best gender equality tech companies for multicultural women to work for and can be found amongst the top 100 innovators for diversity and inclusion. More that 24% of IBMs executive population is made up of women and two thirds of those women are working mothers. IBM are not just committed to increasing gender equality but offering programmes to women who are wanting to return to the industry after having a child. In order to help gender equality, Microsoft are removing the binding arbitration clause so those who feel harassed do not feel under any pressure to not open up about it. Microsoft are one of the first fortune 100 companies to remove this arbitration clause as most companies keep the clause as they can legally hide any misconduct from the public eye. 28% of the workforce at Microsoft are women, this is an increase of 1% compared to the previous year. There was also an increase of women in technical roles (19.9%), leadership roles (19.7%) and interns (42.5%). These figures have been growing steadily since 2015 which shows how committed Microsoft are as a gender equality tech companies. 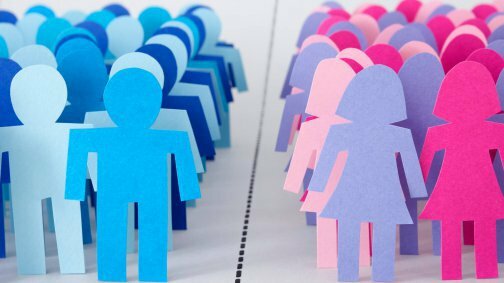 To help close the gender equality gap, CA technologies have announced that they will offer all employees globally, both male and female a minimum of 12 weeks paid leave during the first 12 months of the birth or adoption of their child. The gender equality tech companies also provide a phase back to work process which enables both men and women to return to work gradually over a two-week period after maternity, paternity and adoption leave. CA Technologies have increased their number of women in the organisation over a 4-year period from 21% to 30%. They have provided women with programmes which has bought an increase in middle management over the years along with developing individuals skills, confidence and the way they operate. Copyright Techno Jobs © 2019.